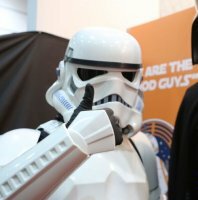 Hello there~ My ID is TK-82301, I am a member of 501st Korean Outpost. I am honored to be with my husband with 501st. I want to have a wonderful time with you. I hope to go along well. The Force will be with us~! Please requesting 501st access. Korea outpost TK-82301 http://www.501st.com/members/displaymemberdetails.php?userID=25521 Thanks!